(The Salt Lake Tribune | Kathy Stephenson) Many Utah shoppers like to read the reviews and rating cards at the state liquor stores before making a purchase. The state is banning the "shelf talkers" after Dec. 31, 2018. 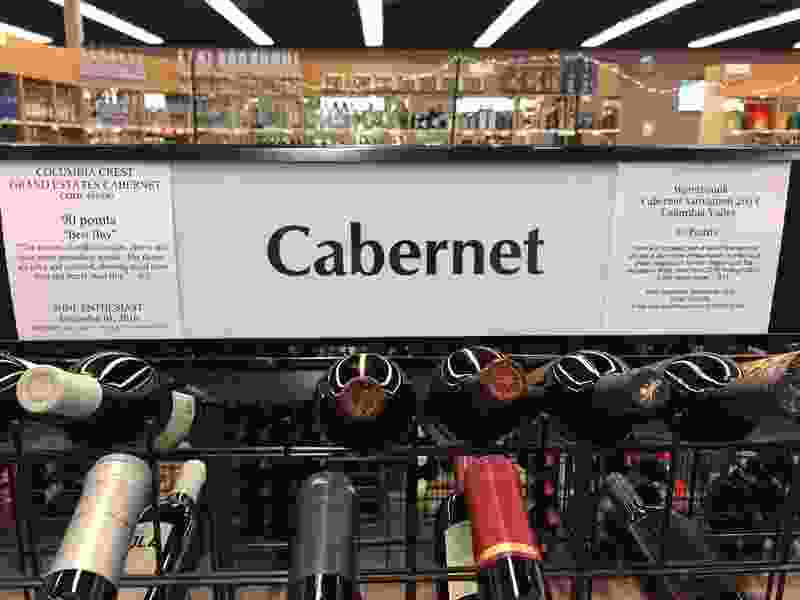 Those of you who shop at Utah state wine and liquor stores have been put on notice that yet another consumer-friendly service is being terminated: Those helpful little product review tags posted on wine racks and shelves are to be removed. Like any monopoly, the Division of Alcoholic Beverage Control is continuing to offer as little as possible while charging the highest prices. For years it was my job to check these reviews for accuracy and compliance before they were posted in the stores. I know firsthand that customers appreciated this service. Now the department’s highly paid public information officer spins a yarn blaming independent wine brokers for breaking the agency’s own unmonitored rules. He also suggests that there are newly knowledgeable employees available to help customers. Good luck finding one! Oh, and by the way, if you need more specific information, you’re welcome to juggle bottles while using your own smartphone app during shopping. Never mind that nearly all free-market stores still use shelf talkers. Now, what else can’t the DABC help you with while you pay top dollar for your alcoholic beverages of choice?